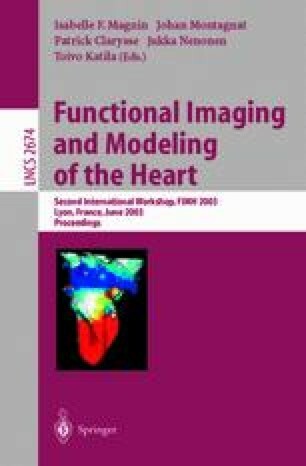 In the design of patient specific mathematical models of cardiac mechanics, the lack of patient specific input data leads to default settings of various model parameters. To estimate the potential errors thus introduced, we evaluated changes in predicted mechanics in a model of the left ventricle (LV) induced by changes in geometry, fiber orientation, heterogeneity of passive material behavior and triaxial active stress development. Incorporation of measured heterogeneity of passive stiffness did not affect systolic mechanics. Incorporation of triaxial active stress development did significantly affect systolic mechanics, but knowledge on this mechanism is too limited to draw conclusions. LV geometry variations covering the biological range changed the equatorial distribution of active myofiber stress and shortening by about 10 to 15%. Similar changes were found by variation of fiber orientation by 8° at maximum. Since this change in orientation is at the edge of the accuracy, with which myofiber orientation can be measured in vitro, and far below the accuracy, obtainable for in vivo measurements, we conclude that the benefit of accounting for patient specific geometry is questionable when using experimental data on fiber orientation. We propose to select myofiber orientation such, that myofiber load is distributed homogeneously across the cardiac wall.